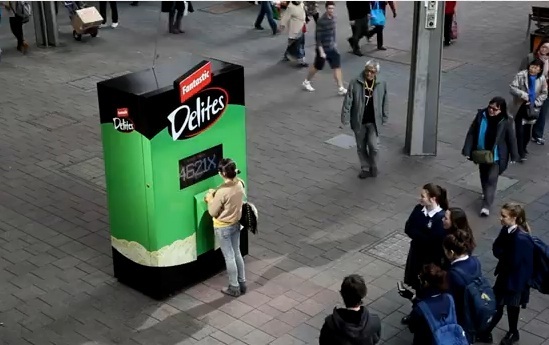 Vending machine campaign asks: ‘how far will you go’ for free food? Australian brand Fantastic Snacks – behind Fantastic Delite ricecakes – wanted to see how far people would go to get a free product. 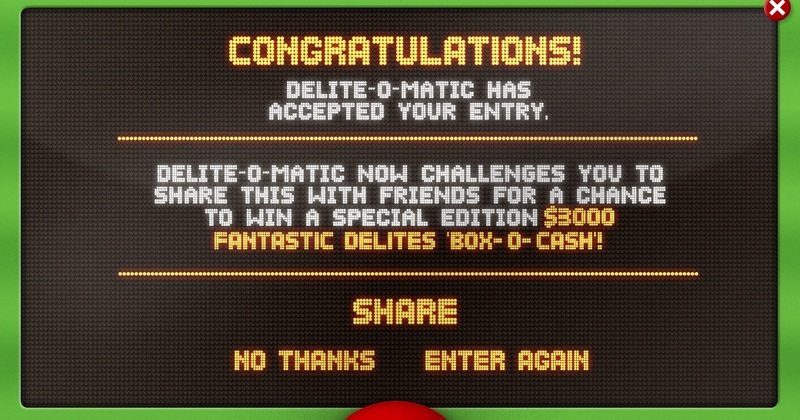 So, they built a customised vending machine that instructed you to comply in order to receive a free box of their ricecakes, and called it the Delite-o-matic! At first, it asked passers-by to press a button 100 times to ‘win’. Then 200. Then 400, then 600 and, well, you get the point. All the way up to 5,000. After that, it started asking members of the public to do other things, like bowing to the machine on their knees (the command being ‘bow to the master’), hopping on one foot, exercising and dancing. Of course, the machine drew big crowds as people watched the fun, proving to be a brilliant way to get people interacting with the brand. There’s something very Pavlovian about the whole experiment, which has, in one week, garnered just more than 128,000 views, at the time of writing. I suspect the length of the video lets it down, but I’d definitely recommend watching it. The brand has also created a very slick site, where you can play the online version of the game. After clicking the button 100 times online, it asks you to suggest a challenge for future iterations of the machine – I went for the relatively tame ‘hug a stranger’, but you can imagine the sort of suggestions they might receive. Once it’s accepted, the site ‘challenges’ you to share the page with friends for a chance to win $3,000 (prizes only available to Austalians and New Zealanders over 18). Depending upon the number of players/clicks the game gets, the prizes will increase in value, from one box of the snack all the way up to a holiday in Fiji. At present, it looks like about 1,240 people have played, and the prize scale is sat at 100,000 pushes, giving people the chance to win a robotic hoover, valued at $800. As soon as more than 5,000 people have played, the prize goes up to ‘lots of Apple stuff’, which, having looked at the terms and conditions, includes a MacBook Air, an iPad, an iPhone 4S, an Apple TV, an Incase Compact Backpack and an iPad Smart Case.